We’re back for Weekly Roundup 59 and this week we’re serving up some sassy insight into WhatsApp copying Snapchat, how your website structure is affecting your SEO, and a whole bunch of other useful news you might have missed. If you didn’t catch us last week then click here to stay woke. Every time we cover anything related to social media it seems like we’re just updating you on Facebook copying other social media company’s features, in a desperate attempt to be the ultimate social media monster. But all dramatisation aside, Facebook-owned Instagram began copying Snapchat’s ‘Stories’ and now surprise, surprise, WhatsApp now has expiring images and text too. The feature was beta tested in November and is going to be available on iOS, Windows and Android platforms as of February 24th. The WhatsApp ‘Status’ as they’re calling it, comes with end-to-end encryption that ensures the status disappears within 24 hours of being set and privacy settings will allow users to control who sees their status. In separate coverage, eConsultancy debate whether or not it will impact how users use the app. While Instagram’s Stories didn’t make much difference, it’s a pretty passive user experience – you can use it just to stalk other people’s content if you wanted. WhatsApp is different though. It has always been inherently active and to use it you need to be engaged in a chat with someone else or there’s no point. But now you can do both. Now the real question on all of our lips is if brands are going to jump on board with it. Some have already been using WhatsApp for marketing purposes – mostly just to improve customer service – but this new feature could potentially open up a whole new realm of advertising opportunities. WhatsApp used to be against blatant brand advertising back in the day, but apparently things have changed. There’s no guarantee that this feature could hit the ground running, especially after the bleak lack of impact Instagram Stories had. Brands might be able to make use of custom-made filters and whatnot to create a less obtrusive presence for dark social, but other than than that what else can we really achieve with a feature that’s available on two other social media platforms already? We’ll keep you posted on how this pans out. According to Interactive Media in Retail Group (IMRG) and Capgemini, UK eCommerce sales in January rose 12% year over year, with the highest average order value seen in that month since back in 2010. Compare this year to the last few and it’s clear to see that certain product categories are losing steam. January’s growth was down from last year, which was considered the best year since 2013 according to the IMRG Capgemini e-Retail Sales Index, when B2C eCommerce sales in the UK grew by nearly 16%. The AOV – excluding travel sales – rose to £85 in January 2017 which is an increase of £6, and is considered the highest value for January in 7 years. By comparison the overall average in 2016 was £81. Clothing, accessories and gifts have recorded an increase in average order value, especially gifts – seeing a 62% year over year increase. But, digital sales growth for clothing retailers has slowed to 11% in January which is the lowest monthly increase for that sector since March of last year. Other product areas are also suffering. The consumer electronics sector average order value for example has dropped by 12% in the last 12 months and online sales have dropped by 9%. The slowing growth of eCommerce could be an indication that whilst we thought Brexit would have little effect on the UK consumers’ mindset, perhaps it has. To back it up, the latest Nielsen study of UK consumer confidence carried out at the end of 2016 found that the economy had overtaken immigration and terrorism as one of the leading concerns of UK internet users. The people who were most concerned about the economy has increased by 12% since 2015. Hmmm. Food for thought. “One reason you want to offer social login, is that it helps reduce friction in the checkout process. Especially for new customers, instead of having to fill out the form to create your account, if you can just click a button to create that account with Facebook, for example, that’s basically removed an entire step from the checkout. This becomes even more important when you think about mobile. Obviously, mobile usage has risen drastically, and it’s still on an insane growth rate. It’s only going to get bigger, and that’s really where it’s a lot more annoying to fill out forms – on a phone. You don’t want to bombard shoppers with too many emails, so instead, target only shoppers who didn’t actually open the email that you sent. Wait a day, check to see if that person opened the previous email. Create more urgency in the subject line the second time around because, obviously, if they didn’t open it, something a little bit more aggressive can get shoppers to open the next one. We won’t give too much away, but we definitely found it really useful, so we’re passing it along. Get yourself to SmartMail for their 23 Actionable Strategies to Make More Sales in 2017. Tasty. 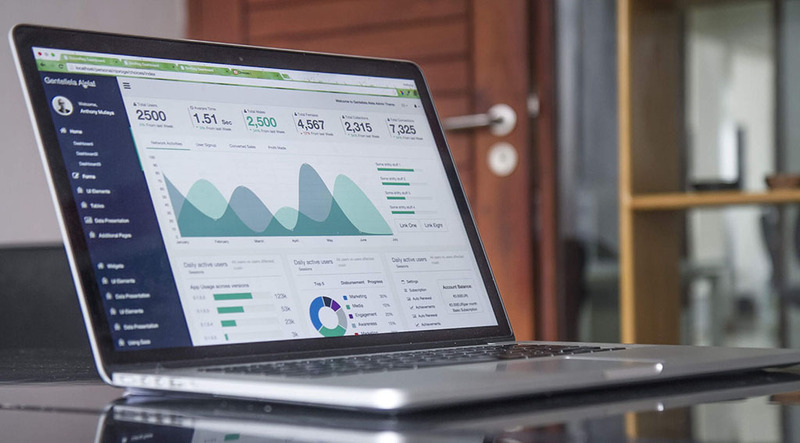 When it comes to SEO, we all tend to get hung up on keyword research and usage and although these are incredibly important, there are some other more technical considerations we need to take into account. Website structure significantly impacts your SEO and if you can fix these key issues, you might see a good improvement in your rankings. URL Structure – We’ll start with a basic factor to begin with. Avoid extraneous characters (&$#%@) because it makes it difficult for search engines to crawl through your website. Use dashes and underscores instead. The ideal URL length is between 36 and 38 characters. Though, of course, it’s sometimes unavoidable, try not to go too long with your URLs. Duplicate Pages – This is a bit of a nightmare for SEO because Google just stamps it with a big old ‘SPAM’ label. Focusing on high quality and unique content on each page of your website is important. You can use Google’s Search Console to find and eliminate duplicate content on your website and while it may be possible to repost duplicate content on Medium or LinkedIn, it’s better to stay away from posting duplicate altogether content on any websites including your own. Internal Links – The basics of website navigation dictate that users should be able to get from A to B with little effort. If you have a large website, it can be quite difficult to do that. Usability experts claim that it should only take three clicks to find any given page but this should be considered more of a guideline than a solid rule. You should organise links in a way that won’t interfere with your website’s structure. Internal linking works by using keywords within your content and linking these keywords to another piece of content you have on your site. Most people link back to older content, but why not do the opposite also? Making sure both pieces link to each other is a good way to make an ongoing loop between pages. Site Crawlability – This refers to a search engine’s capability to crawl through your website’s entire text content to figure out what your website is for and about. To do this it needs to sift through sub pages and individual topics to understand your site. For your website to be considered crawlable, a web page must be able to take the visitor to another place in the site. Essentially, there must be no dead ends or broken pages. So how can you improve your website’s crawlability? Make sure you have internal links from one page to another. 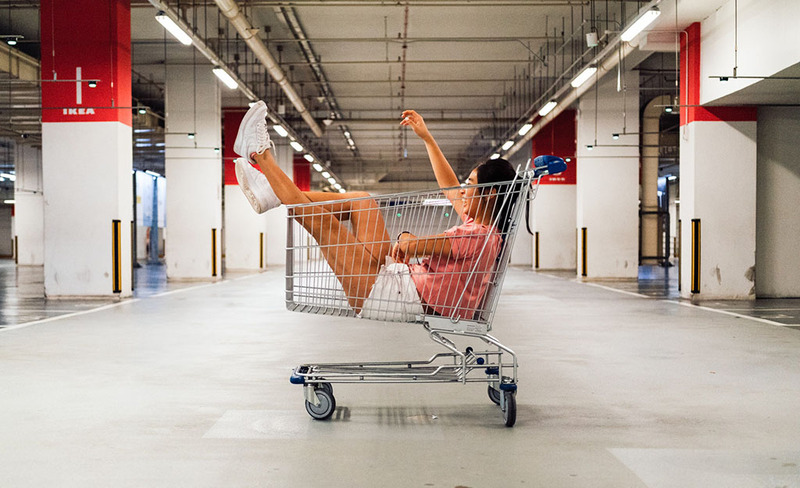 Smartphones haven’t just altered our shopping habits, they’ve changed our entire lives. According to a recent study from Deloitte, one third of British people reach for their phones within the first five minutes of waking up, and one in three of them even wake up in the middle of the night to check their phones. Having established the fact that we have a problem with turning off, brands are noticing too, and some are making the efforts to jump onto the digital detox trend. If you go to set an alarm on your mobile you might notice the ‘bedtime’ tab at the bottom in the middle of your screen. If you haven’t, we’re not surprised – it’s an ultimately unsung update from months ago that not many people seem to talk about. Anyway, here you can tell your phone how many hours of sleep you need at night and on what nights. Your phone will then give you a gentle reminder that you need to go to bed in order to get sleep. It’ll apparently wake you up gently too. How cute. For some insight into this digital detox effort, Daina started using it almost a month ago and decided to try it out for you. 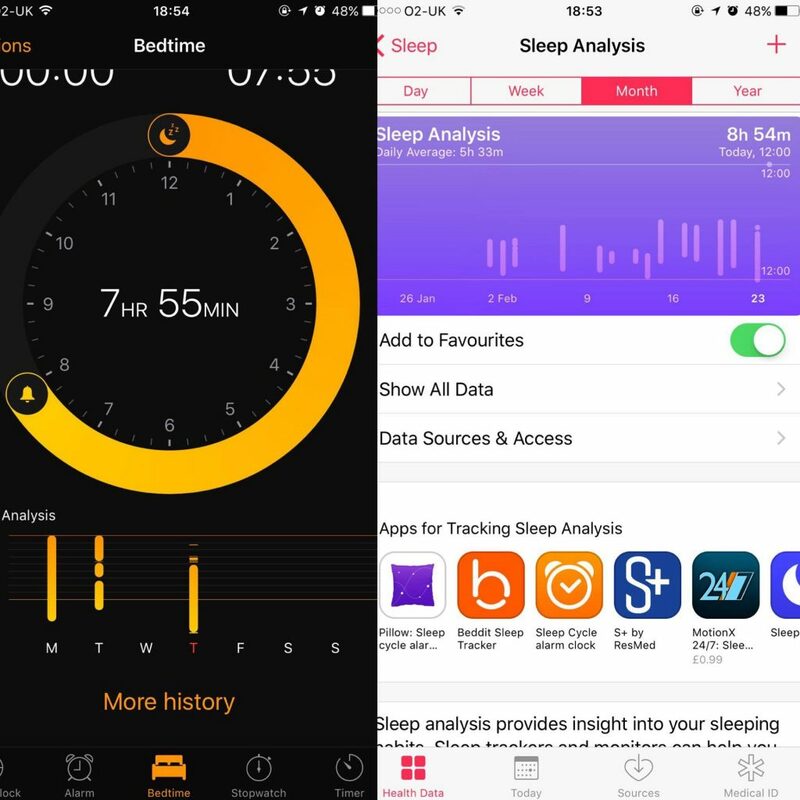 As you can see, not only is she ambitious with her hours of sleep she needs, the app’s analysis of her actual rest (shown) indicates she’s crap at sticking to it. (You’re supposed to keep the bars aligned to improve your rest). What we can’t quite figure out is how they actually know you’re sleeping. This isn’t the first effort from Apple in trying to tap into more health themed features. They also have fitness trackers and have drastically improved their ‘health’ section. This particular feature is like a low key acknowledgement that their product is intrinsically linked to your sleeping troubles. Last year Dolmio used the gimmick of ‘too much tech’ as a marketing campaign. It was constructed around the idea that technology had hijacked dinner time and children had become so absorbed in tablets and smartphones that they are completely unaware of what surrounds them. 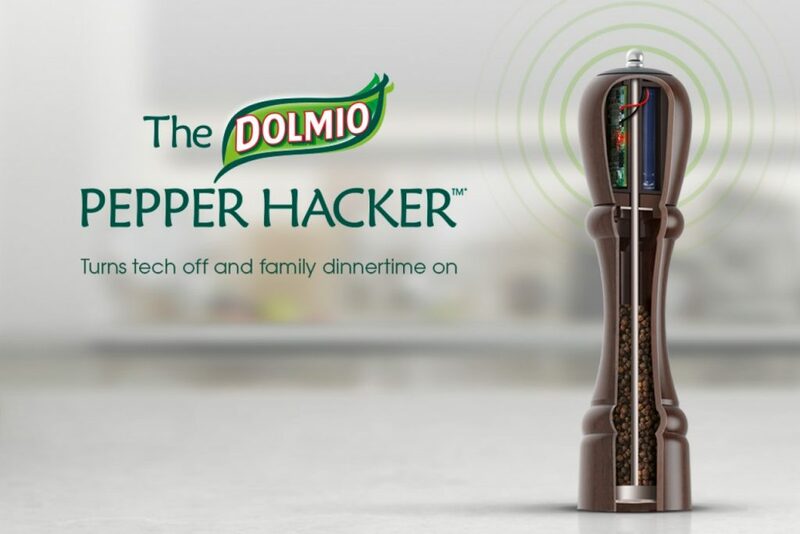 So Dolmio created the ‘pepper hacker’ that automatically disables surrounding Wi-Fi to reclaim dinner time. The campaign was pretty good, it had a good advert, a dedicated website and a competition to boot. It used a relatable scenario to target families and the brand was also able to show concern for the ideal customer of its products. Good call. 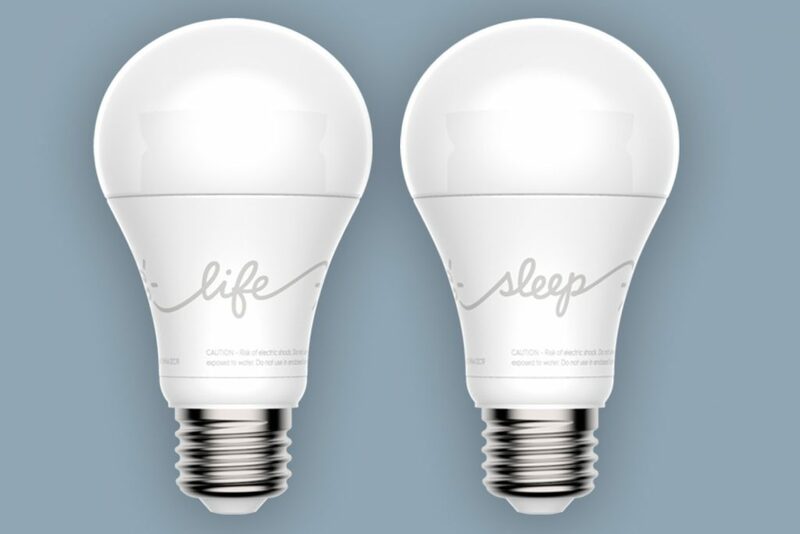 We’re back onto sleep issues again, and here we have GE with its range of C-Sleep light bulbs. They are basically designed to prevent harsh light from interrupting natural rhythms in the brain and the light bulb can be toggled between 3 settings – one for morning, one for night and one for anything in between. By changing the light intensity you’re apparently able to have a more calming and sleep inducing bedtime environment. The light bulbs can be controlled with an app which, according to eConsultancy, proves ‘balance is key’. We would have thought it says something pretty deep about the fact we’re willing to use an app to turn a light up and down. 10/10 for trend jumping efforts though! In a quickfire round we’ll mention the Meantime Brewing Company who made a content marketing campaign based on the idea that tech is disrupting socialising. Then there’s Headspace, the brand that wouldn’t even exist if consumers didn’t want to switch off. It’s a mindfulness app that helps users take a break and it’s now worth £25m. Bit of a bummer that it goes against original premises of mindfulness with its… paid features. Established and un-established brands are jumping on the bandwagon. And in turn creating more reasons to use apps. Pretty bizarre way of working, really. Advanced machine learning and AI were highlighted as one of the top technology trends for this year by a wide variety of sources and it’s expected to experience high growth rates over the coming years. The AI market is expected to be worth over $16 billion in 2022 according to Research and Markets while Tractica estimates AI revenue will grow to $36.8 billion by 2025. 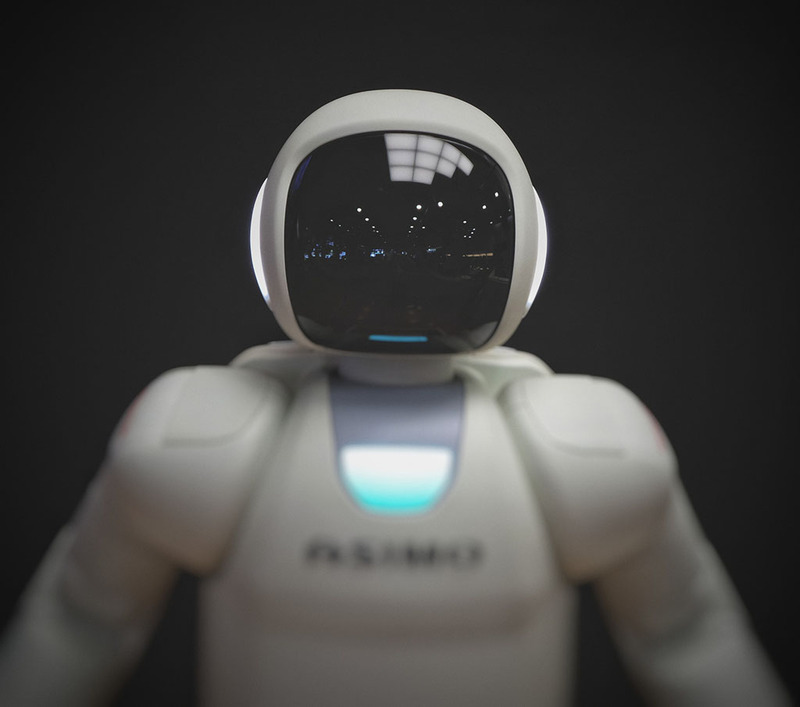 Artificial Intelligence has a role to play in the email marketing industry with automation and personalisation of cloud based digital communication, according to the email testing and marketing company Email on Acid. Justin Khoo is an email developer from Email on Acid and he discussed the ways that AI could have a profound effect on the email marketing industry. In an interview with Email Marketing Daily he said that while AI is still in its early stages, marketers will gain deeper insights and enhance creativity by weaving AI into future marketing campaigns they implement. He says a lot of vendors today, “throw the AI word out there” when they really mean machine-learning tools that are focused to learn specific results, for example: send-time optimisation. “Business intelligence has been around for awhile, but that’s guided,” He says. “You manually put in what you’re looking for in a search box.” Bigger companies do offer, “high-level” AI services like IBM’s Watson and they offer what he calls, “unguided AI” which is a system that doesn’t require human input to get the correct insights. “In the future, those types of technologies could really add to email.” He says that AI could help automate customer service – oriented emails with AI bots responding to email questions, much like Google Inbox’s Smart Reply feature. Siri or Alexa could also be integrated into email apps to trigger responses or read aloud content. He says that testing becomes even more integral to your practice “when you make the AI do more and more advanced things, like moving content around.” Artificial Intelligence can offer maximised subject lines, compelling offers and predictive content but it still can’t guarantee the email looks perfect in every inbox it’s sent to. So really AI is nowhere near close to being a replacement for traditional practices and job roles, but is more of a tool that can be used by email marketers to improve their efforts. Thomsen makes note of how Google is now “punishing mobile interstitials that are not optimised to comply with the new rules.” Because of the new guidelines that have been set it’s important for you to create specific opt ins for mobile users in order to convert them as well. She adds: “When you create mobile opt-ins you need to think about the mobile experience. Don’t create an opt-in that takes up the whole screen. Also, It can be a good idea to include less text in a mobile opt-in vs. an opt-in for desktops. Say it with an image instead and a short convincing copy.” She also mentions that you need to make it easy to close down. If your customer has a small phone and big fingers it’s going to irritate them if the close button is too small – don’t make it any harder than it needs to be. We liked that Rikke even included an ‘Offline’ section to her methods, after all it does seem like an obvious choice, but being caught up in the digital it wouldn’t surprise us if a lot of email marketers overlooked it. She hooks you up with tips on how to grow your email list in real life, sometimes simply by asking people, other times through word of mouth, conferences, (on-stage and off-stage, nice) receipts, flyers. She has even included sandwich boards. “Most countries have different local business listings where people can search for businesses within a specific industry. These listings usually include an address, a phone number, an email address, and a link to the business’ website. Why not include a signup link to these pages as well? So grab a coffee and get reading because you’ll biting off a lot, but not more than you can chew with the ‘101 Proven Ways to Rapidly Grow Your Email List’.